Women Only Course at University of Glasgow! « New class in Glasgow West End coming soon! Work off the Festive Meals and Parties! 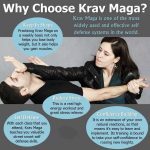 Get fit with Krav Maga! SKMS is delighted to announce a limited number of available places at our Krav Maga Self Defense classes at David Lloyd Anniesland for Beginner and Intermediate Levels! Have you ever wanted to learn self-defense? Have you ever wondered how you would protect yourself if you got into a dangerous situation? Or are you simply just looking for a workout that would get you fit and engage your mind at the same time? Then these classes are just perfect for you! The tickets entitle both of you to unlimited training throughout January! Just choose the class you will make the most and you'll be welcome to tag along to both classes! That is 2*16 hours of training for £50! If you'd like to try the classes first, give us a call on 07825472313 and speak to Barbara! Book now and get ready for a life changing experience with Krav Maga! Join our classes, get fit and learn techniques that will help you stay safe! No experience needed at all. All ages, fitness levels and abilities are welcome! Our classes are very supportive, just come along and experience it for yourself. Saturdays, 9-11am. Kids classes are also available at this time if you're looking for Kids Krav Maga or childcare options. These are mixed classes but upon request, we are happy to organize a Ladies Only Course. All you need to get started is a big bottle of water, comfortable (gym type) clothing and a big amount of enthusiasm! Here is the most exciting part! Sign up now and bring your training partner along for an entire month free of charge! Perfect Christmas Present! Beginner's Krav Maga Classes at David Lloyd Annieland, Glasgow! 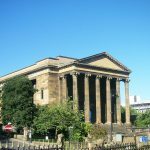 Krav Maga in January in Glasgow! Book now!